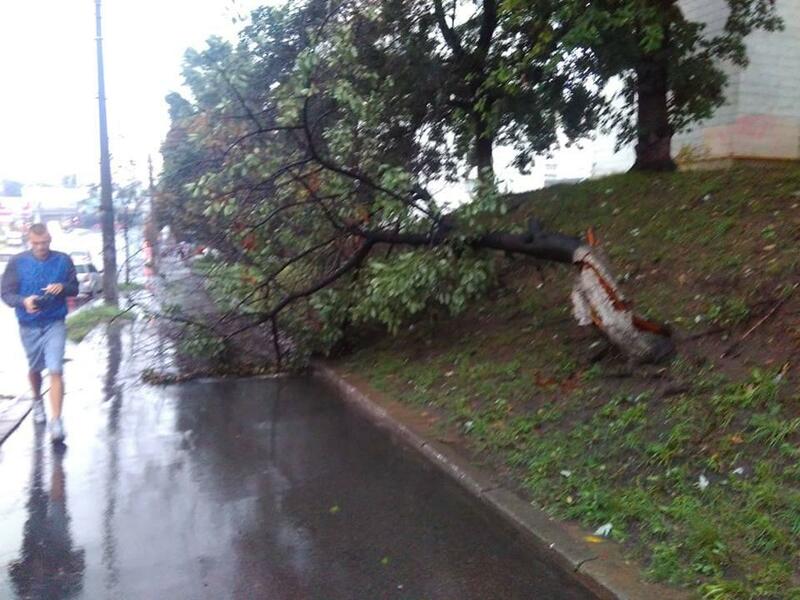 Kyiv City State Administration has announced that another downpour is expected by the end of the day on July 25. 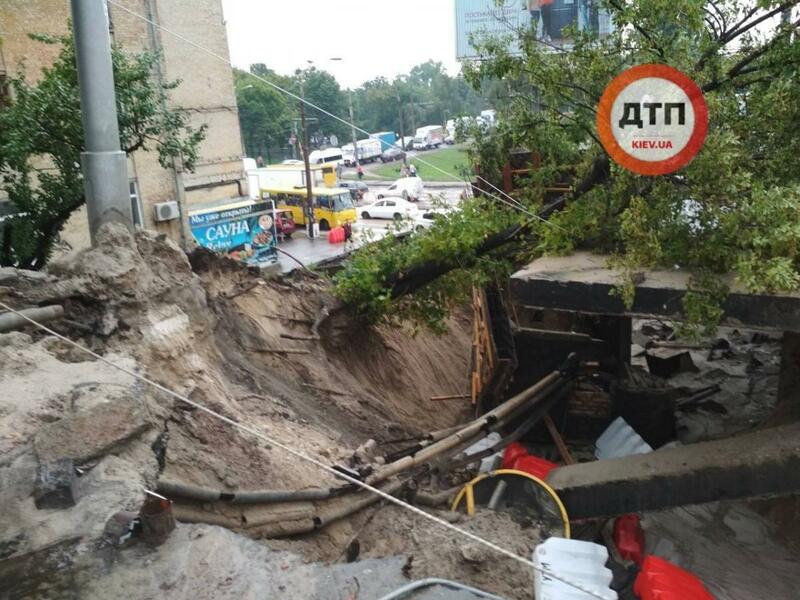 A heavy downpour in Kyiv has flooded the streets, causing a halt to the work of trams and trolleybuses on some routes. 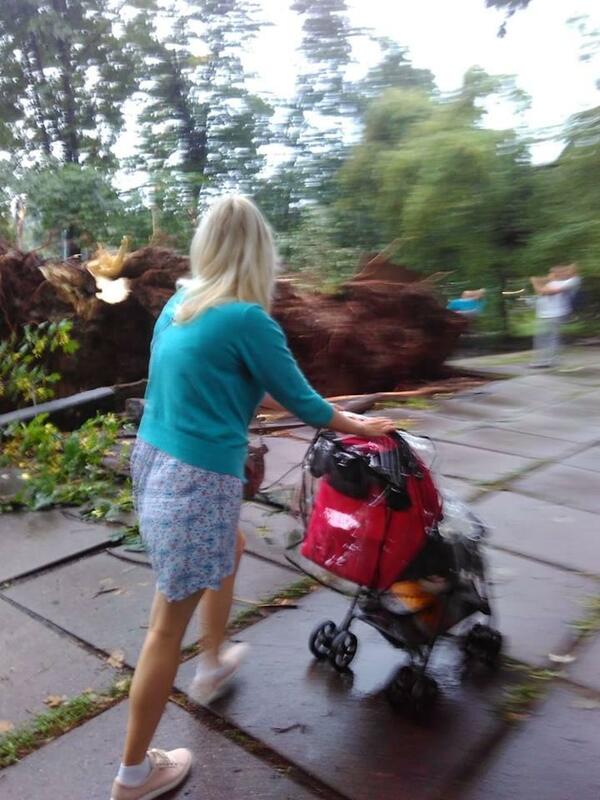 Operational control has been introduced, the Kiev Typical community on Facebook has said. 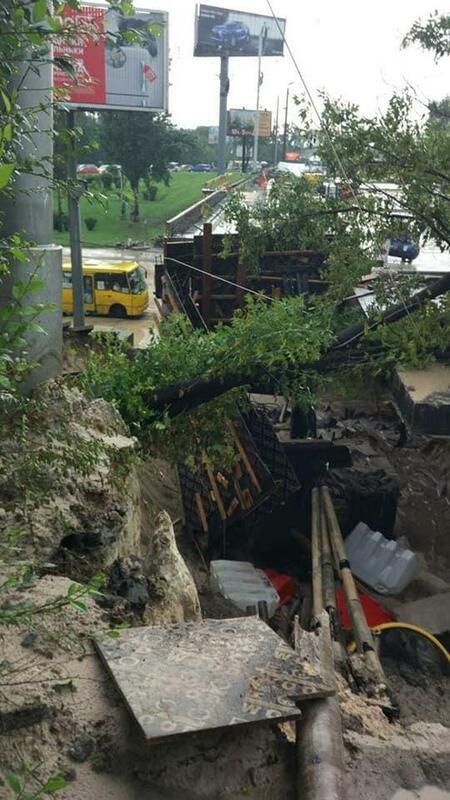 Massive thunderstorms with the downpour and hail on July 25 flooded the roads and underpasses, causing huge traffic jams citywide and a complete standstill downtown. 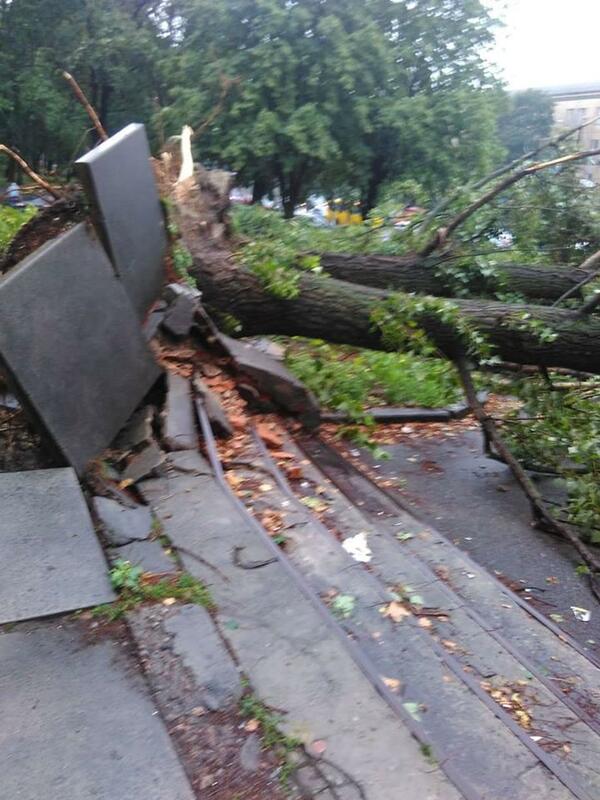 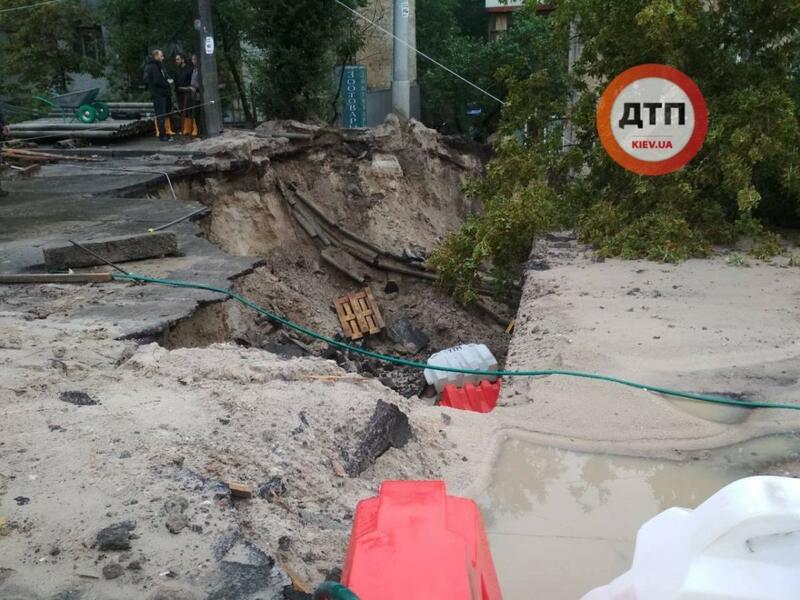 Part of the bridge across Kyrylivska Street on Oleny Telihy Street in Kyiv's Podilsky district collapsed because of the flooding. 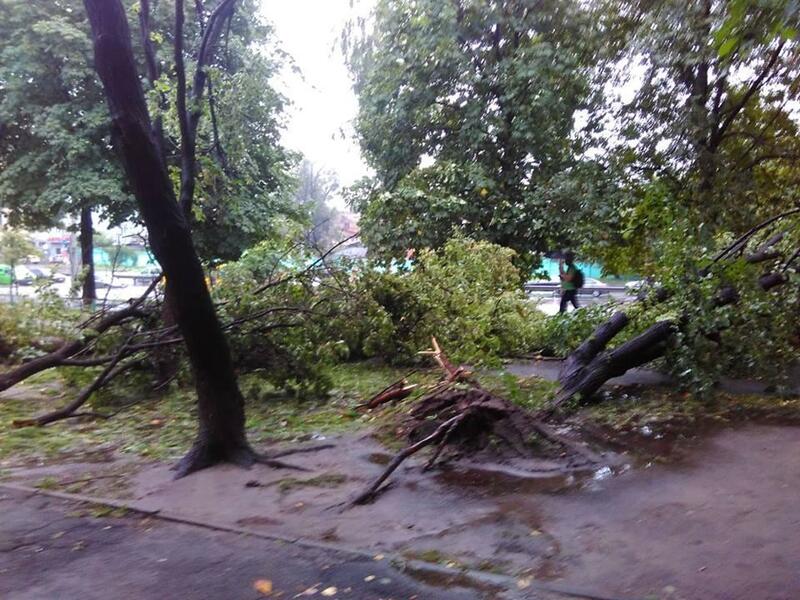 No casualties have been reported, the Kiev Inform community said on Facebook. 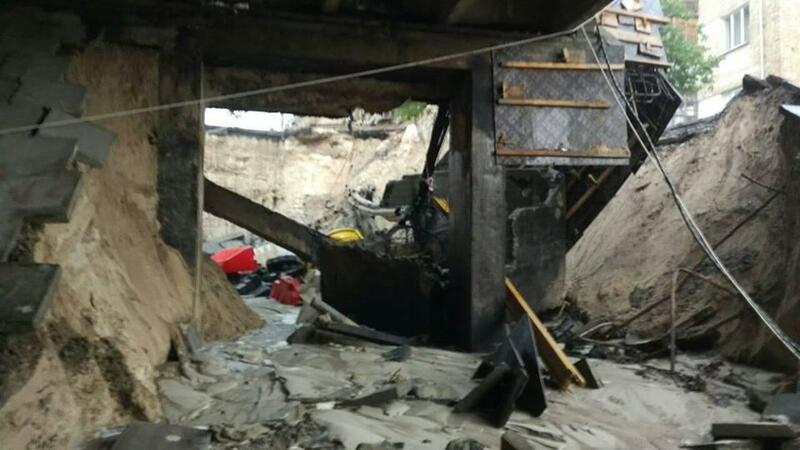 Communications and the main fiber optic cable were damaged as a result of the collapse. 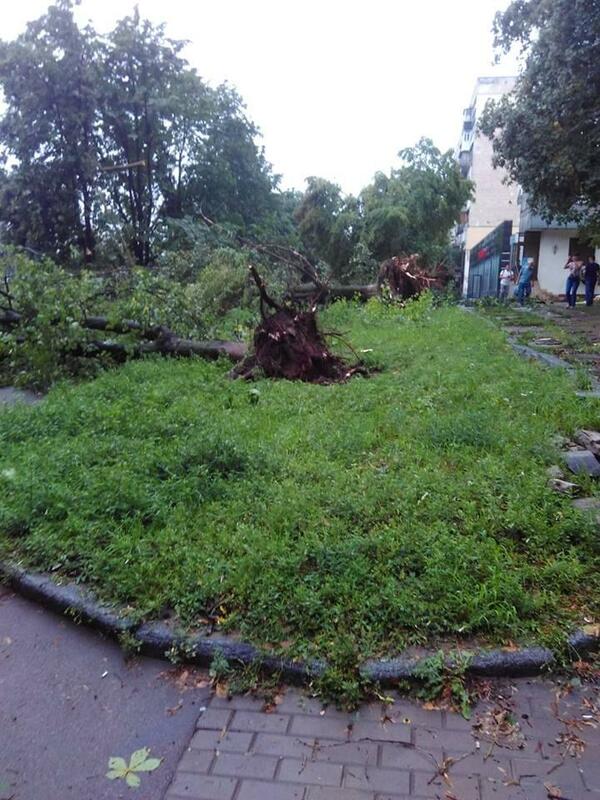 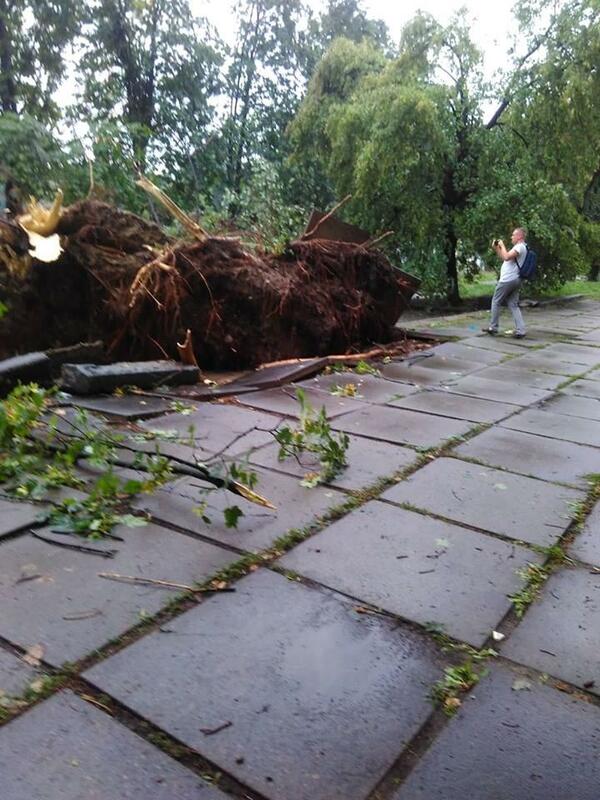 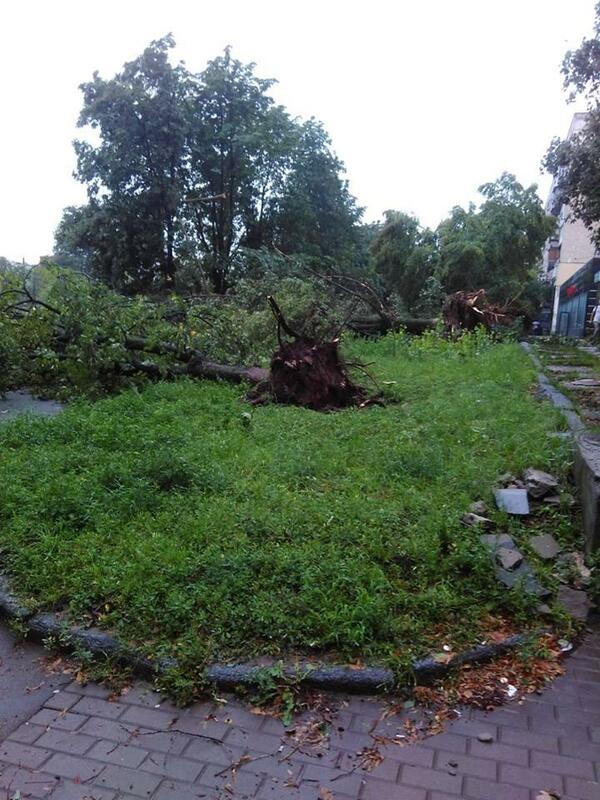 Strong winds pulled some old trees with roots in the Shuliavka area. 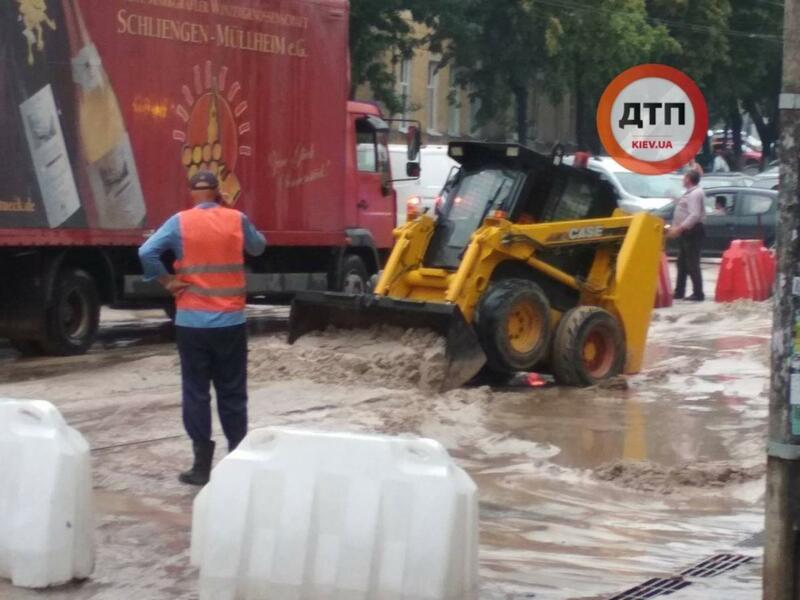 The square in front of Kyiv International Airport (Zhuliany) (Terminals A and D) was completely flooded with water as a result of the heavy rainfall in Kyiv. 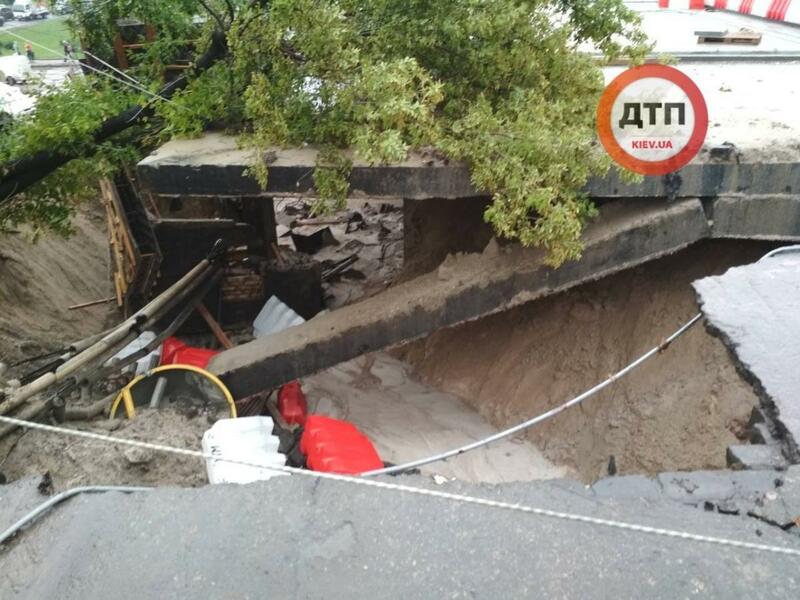 Eyewitnesses claim the level of water was 20 cm high. 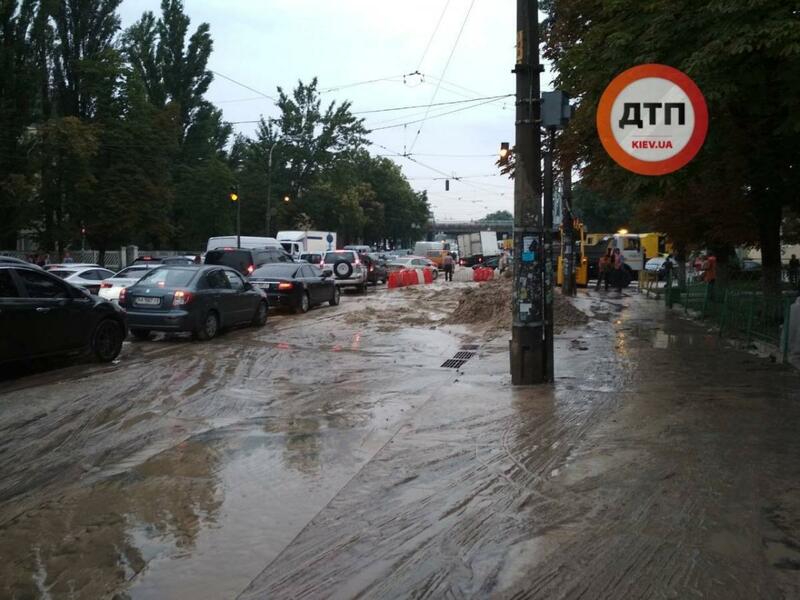 Residents of Kyiv actively share photos and videos of the flooded roads and joke that Kyiv has turned into a Venice. 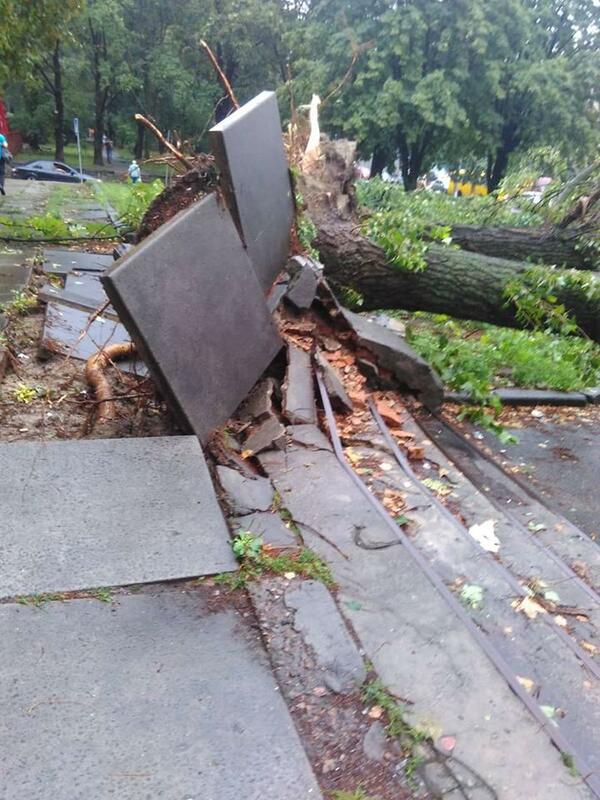 "In the next hour and until the end of the day on July 25, heavy rains are expected in Kyiv, the velocity of gusts may hit 15-20 meters per second," the administration said in an announcement at 18:00 Kyiv time on Wednesday.